Every MIT undergrad student just got $100 richer...now it's $200! Now it's $50...now it's $20...oh God nobody panic! Need money for ramen? 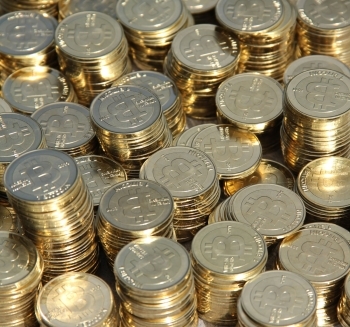 The MIT Bitcoin Club has announced that it will distribute $100 worth of Bitcoin,. to every MIT undergrad student next fall. Dan Elitzer and Jeremy Rubin are the two students behind the move. Rubin is a sophomore studying Computer Science at MIT, and Elitzer just started an MBA program at MIT's Sloan School of Management. The duo raised over $500,000 for the distribution, with much of the funding, "provided by MIT alumni with significant additional support from within the Bitcoin community." From the MIT Bitcoin Club release: "Plans for the MIT Bitcoin Project involve a range of activities, including working with professors and researchers across the Institute to study how students use the bitcoin they receive, as well as spurring academic and entrepreneurial activity within the university in this burgeoning field." There doesn't seem to be any restrictions placed on the Bitcoin going to students. They can hold the currency as an investment, or go buy enough microwave burritos to feed an army. Between the MIT Bitcoin experiment, and the Dogecoin NASCAR sponsorship, it's an interesting time to be involved with cryptocurrency.